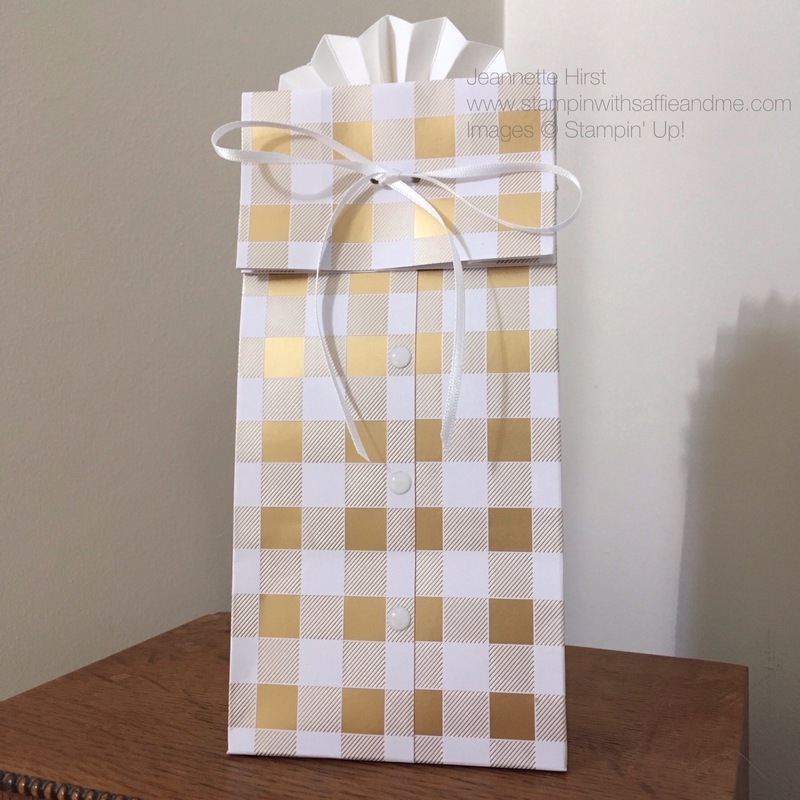 Christmas Gift Bags using Foil Snowflakes, Year of Cheer and Merry Little Christmas Designer Series Paper – Stampin’ Up products. Both of these Christmas DSP packs are so beautiful I couldn’t decide which I wanted to showcase so decided to use both. I really do find it hard to cut into such pretty paper so I wanted to make something that would use a whole sheet of 12 x 12″ without cutting anything off and came up with these lovely bags which also have a cute back seam and tied with a bow left long which I think looks elegant from the front and back. 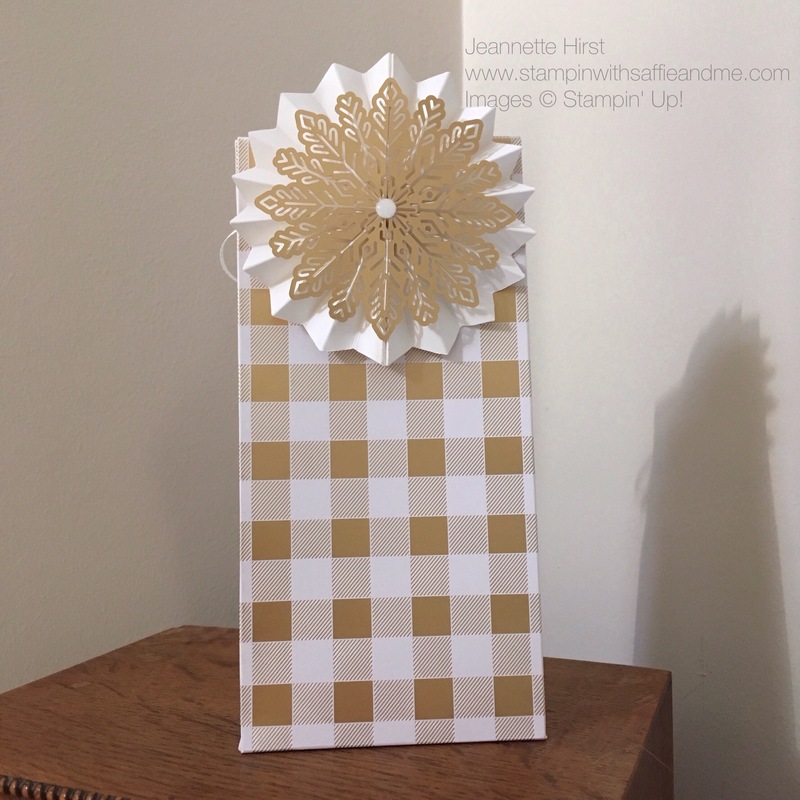 I created a sturdy fan closure that looks super cool with the added touch of a pretty Foil Snowflake which kind of steals the show don’t you think? Do watch my video below to see how I put it all together and don’t forget if you like this project then please like and subscribe to my YouTube channel.